When HostelBookers contacted me to help spread the word about how families can find Interesting and unusual hotels at HostelBookers.com, I was a little bit skeptical about whether this would be a fit for me. Afterall, the image I have of hostels (admittedly formed when I was young, on a tight budget, and kid-free) doesn't exactly incorporate family. But when I looked at the properties, I was intrigued. Things have changed since those early days, and HostelBookers has a collection of entirely unique hotels that I'm betting my kids would be thrilled to check out in person. I thought it would be fun to share my favorites. Castello di Galeazza, located about 40km from Modena and 50km from Bologna features frescoed ceilings and an extensive gardens and ten-acre woodland. I imagine my family could have a lot of fun here, pretending to be Princesses and Knights, climbing the tower, and exploring the library of over 3000 books. Everyone who stays here pitches in with cooking, gardening, and other daily tasks. I like the idea that my kids would get to meet and interact with other travelers from around the world, as well as the chance to hang out with goats and chickens. Rooms are simple, but rated well for cleanliness. Prices are per person and include meals and drinks, and a "dorm room" has 4 beds at a rate of $66.69 per person (private doubles and private singles are also available at the same per person rate). You'll want to contact the hostel and let them know that you are booking for a family so that they can be sure to put everyone in the same room. 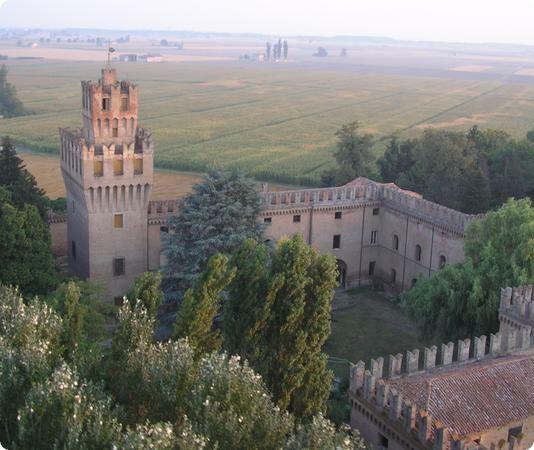 Castello di Galeazza is a bit isolated (the nearest town is 15 minutes away by bike), meaning that your stay here will be focused around meeting the other guests and enjoying the castle and grounds. Still, the area around Bologna is this my favorite region in Italy, partly because it's so beautiful, but mostly because this is the region where many of Italy's food products come from. If you rent a car, Castello di Galezza could make a good base for visiting local farms and producers, and sampling some of the best food in the country. Jumbo Stay is an upscale hostel built *inside* a retired 747-200. 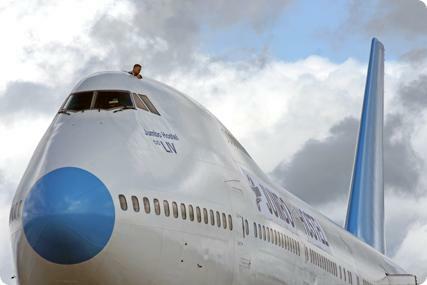 My kids are so intrigued with airplanes that I'd be tempted to try this out. Jumbo Stay is located right on the entrance to Stockholm Arlanda Airport, and you can walk or take a shuttle from the airport terminals, making it a convenient place to stay on the first or last night of your trip if you are flying through Stockholm. A few things to note if you're considering Jumbo Stay, the rooms can accommodate either one, two or three people, meaning that a family of four would need to book two rooms in order to fit everyone. Bathrooms are shared, and the rooms themselves are very compact - you'll want to bring along an inflatable ball and take advantage of the grounds outside before bedtime! The Aydinli Cave Hotel is located in Cappadocia, an area I really wish we'd been able to visit on our trip to Istanbul two years ago. Staying at this hotel would be a unique opportunity experience the way people in this region have lived for 3500 years. 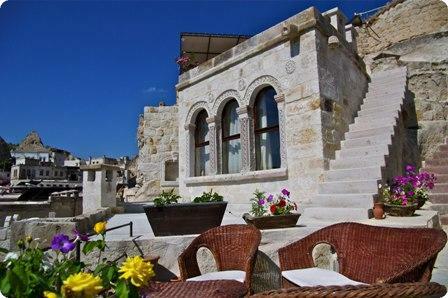 (You can find some beautiful pictures of Cappadocia cave homes here). One of the reasons we travel with our kids is to show them, first hand, that not everyone lives the same way we do, so a few nights in a 500 year old cave home run by a local family would be a great introduction to the history of this region. Aydinli Cave Hotel costs $34.77 per person for a family of four in one room. The price includes breakfast on a rooftop terrace and WIFI. All rooms have ensuite bathrooms. The rooms and would accommodate a family of four with one double bed and two rollaway singles. Contact the hotel directly to request one of the suites with its own sitting area. This post was sponsored by HostelBookers who asked me to help spread the word about their selection of unusual properties. HostelBookers did not ask me to express any particular opinion, and as always my opinions are my own. Abril Cortez on November 22, 2011 at 9:14 a.m.
World of Volunteering is een internationale non-profit organisatie die je helpt je tijd in het buitenland tot een onvergetelijke ervaring te maken. Florida Keys on November 24, 2011 at 4:52 a.m. These Hotels look really unusual for kids staying there. Thanks for the share, haven't read any such post by far. Nice one..!! Lizza on September 27, 2014 at 1:03 a.m.
johnny on March 31, 2015 at 5:24 p.m.
marco on April 29, 2015 at 4:29 a.m.